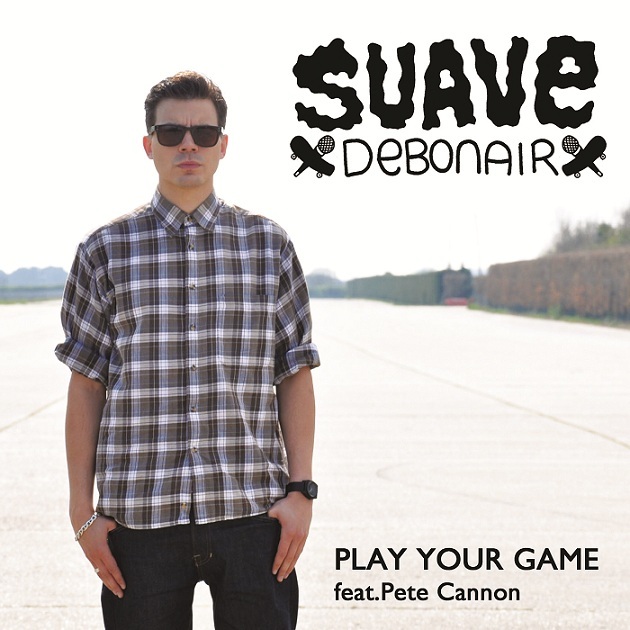 SUAVE DEBONAIR’S new single is ‘Play Your Game ft. Pete Cannon’, set for official release on Monday 28th May. The single marries SUAVE’S razor-sharp lyrics with an infectious melody and a killer chorus. ‘Play Your Game‘ is produced by Pete Cannon (SWAY, MILLION DAN, STIG OF THE DUMP, DR SYNTAX, FOREIGN BEGGARS) with remixes from a host of exciting new producers including OPAL BLOCK and NAIVEMACHINE. Suave is gearing up for Summer 2012 with a host of festival shows and the release of his ‘HOT BBQ MIXTAPE’ dropping in July.